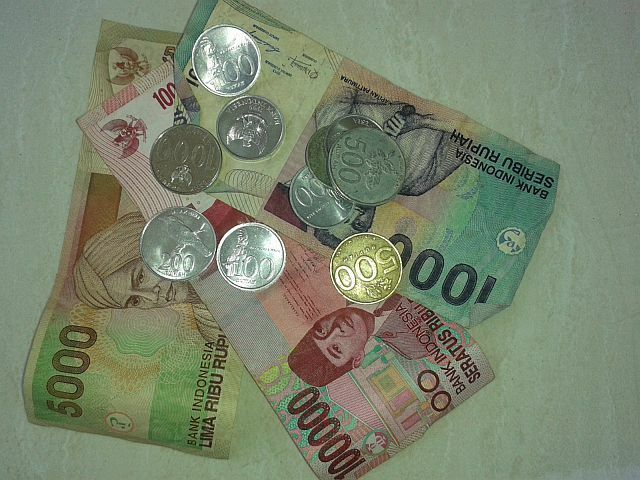 Money can be a tricky thing while travelling in Indonesia. The risk of being hustled is not that big outside Bali, but using your credit card can be expensive. The largest cash withdrawal you can do from an ATM in Indonesia – at least to our knowledge – is 2 500 000 rupiahs. That is equivalent to 206 USD or 164 Euro and considering that your bank probably charges you it will be an expensive affair. You can go into a bank and make a larger withdrawal from your card, but they will most likely charge you 3% for the transaction. The same 3% will almost any company charge you, where you pay with your credit card; hotels, travel agencies aso. If you opt to use ATMs they are everywhere. Even in Papua, they are in every town. The only place where you cannot get out 2 500 000 rp from an ATM is in Wamena, where the maximum was 650 000 rp in 2011. Irony at its best as Wamena and the Baliem Valley is the most expensive place in Papua. (All goods including petrol have to be flewn up from Sentani). Not every ATM allows the largest amount, but we find BCA (Bank Central Asia) to be reliable. If you opt for cash, using USD or Euros will give the best exchange rates. Also note that the bills have to be crisp and the larger the denomination the better exchange rate. There are some USD series that are not accepted in Indonesia, but your currency exchanger should know this. Our personal experience is that the banks (in Sweden anyway) don’t have the knowledge.